I’m always thrilled when people use my books and videos and to make something they love. 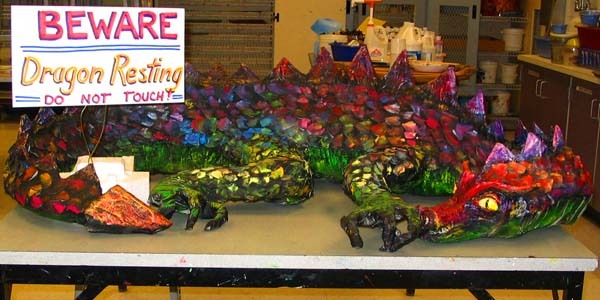 More photos sent to me from people doing paper mache. 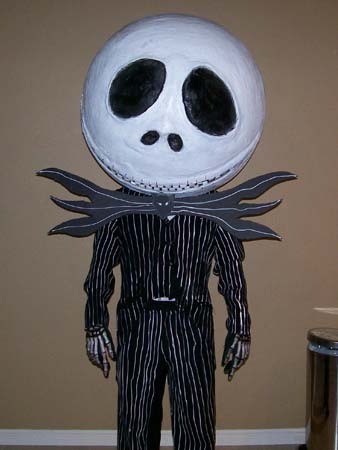 If you have paper mache art works that you would like me to display send them to me at dan@gourmetpapermache.com. Enjoy! 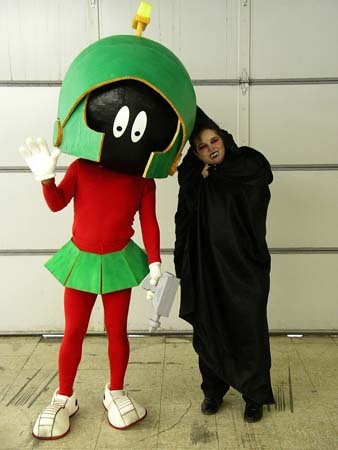 I love this photo. 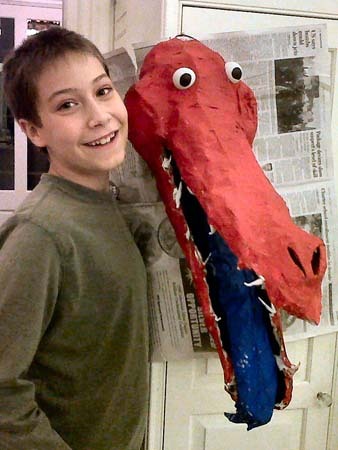 This young man, Tosin Olagunju, made some fantastic paper mache birds! I’ll start with them. 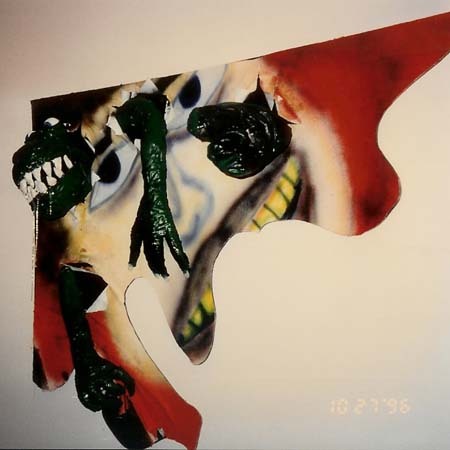 Peter Thomas is a great artist. 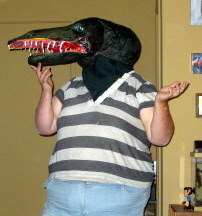 Check out this Tyrannosaurus. 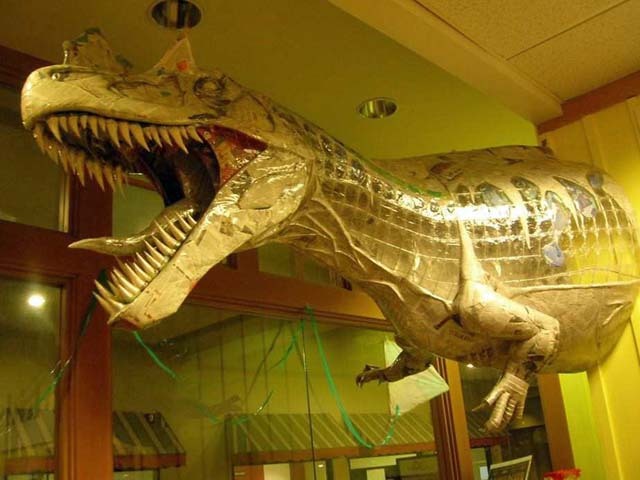 It is a combination of paper mache and plastic wrap. Just amazing. 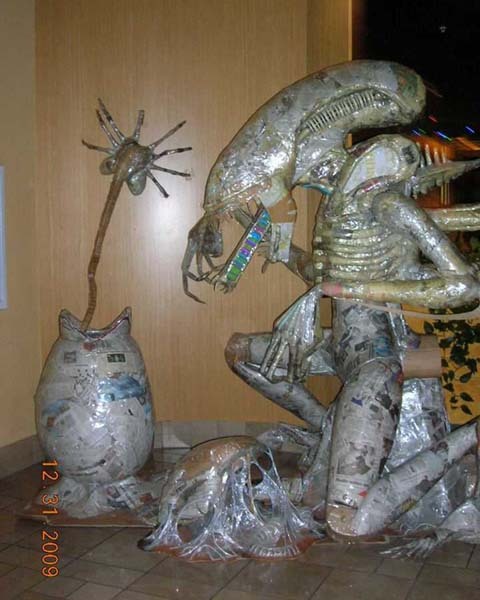 And if that isn’t enough, look at his paper mache alien! 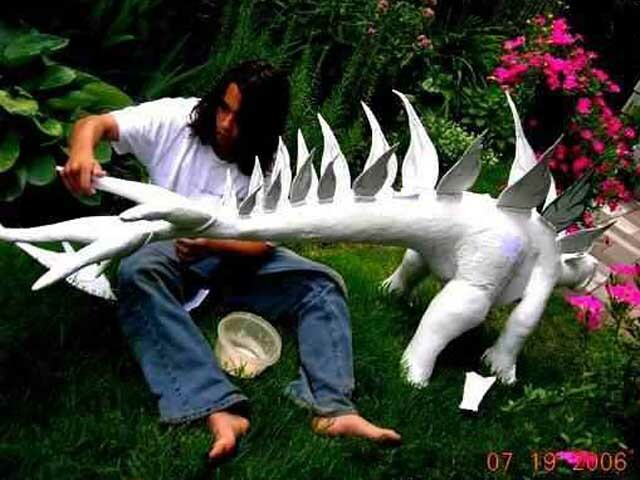 Here is Peter using my cloth mache technique on this dinosaur. That’s pretty cool too. 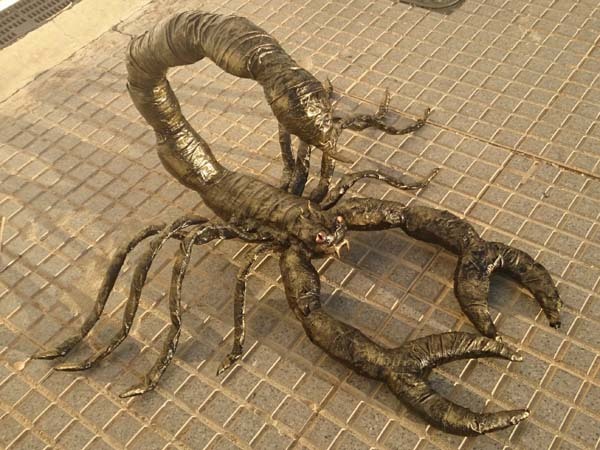 I have another friend Juan Beltran who lives in Spain and has become obsessed with paper mache. I love it! 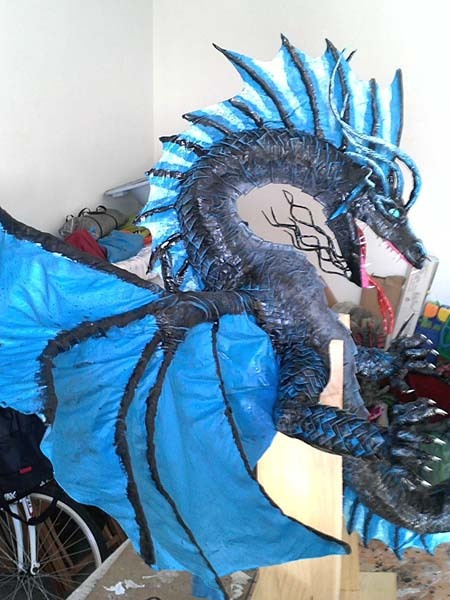 Here are some of his projects. You can find him on Facebook here. 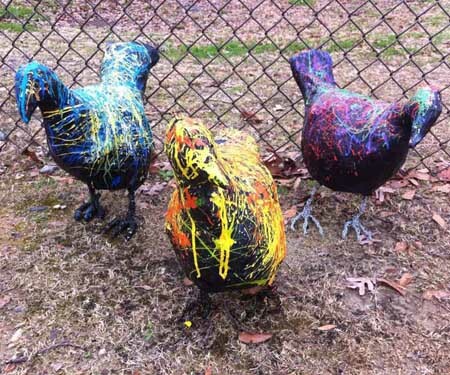 Here are some of Juan’s pieces. 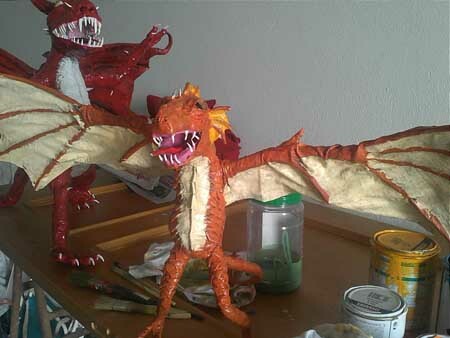 First, here is Juan with some of his dragons. 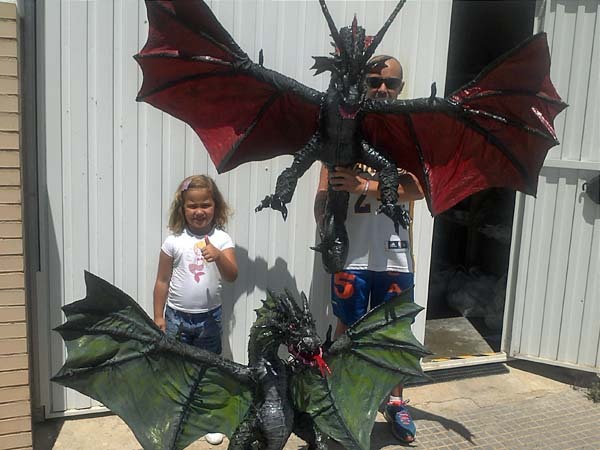 And Juan with more dragons and one of his great kids. I love her attitude! 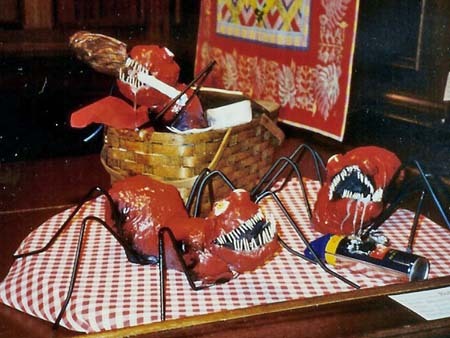 Juan has also made some paper mache insects. 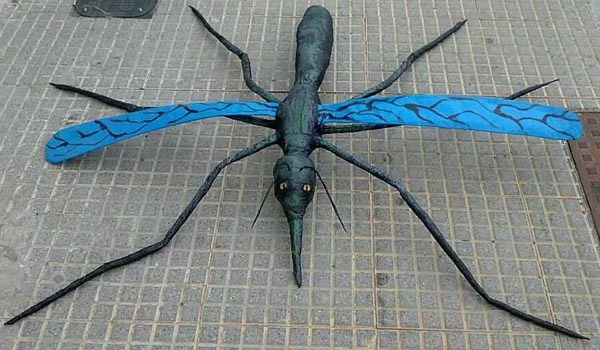 Check out this mosquito. 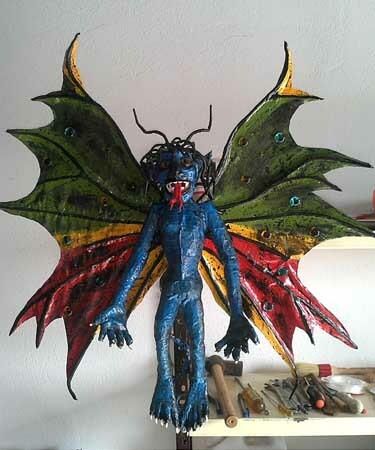 And here is his version of my Dark Butterfly. 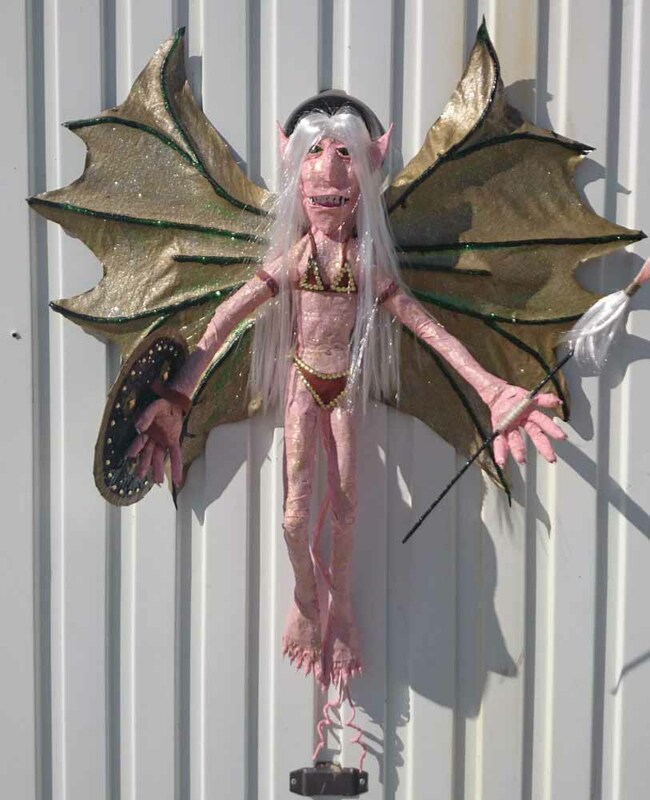 And his paper mache warrior elf princess. 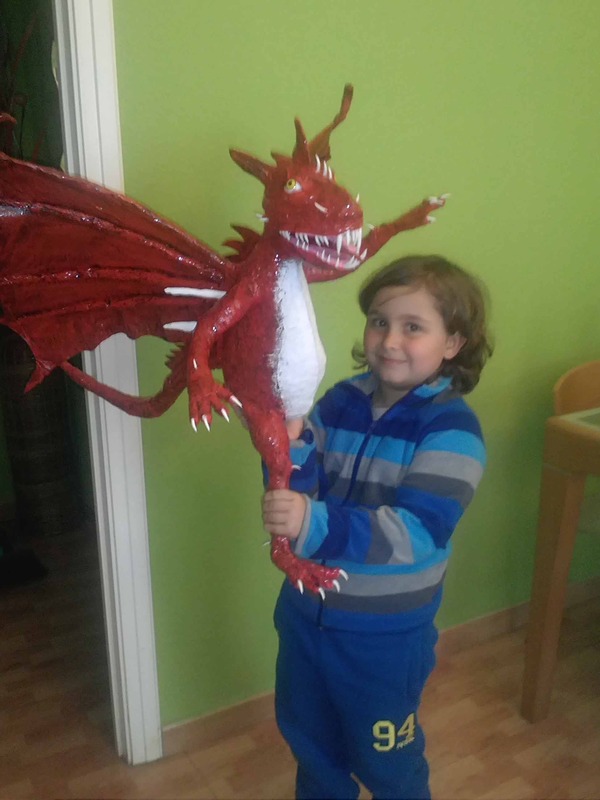 And another little dragon with Juan’s son. Wonderful! Finally, here is another little baby dragon. 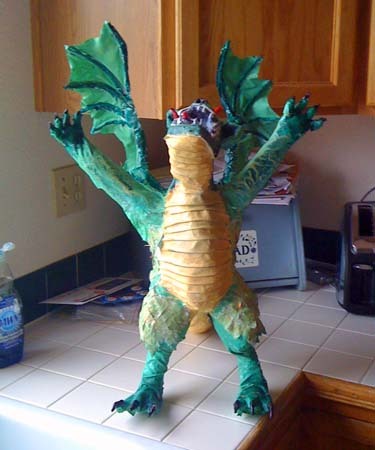 Lynne Boltons makes some great paper mache art. I love this next piece. 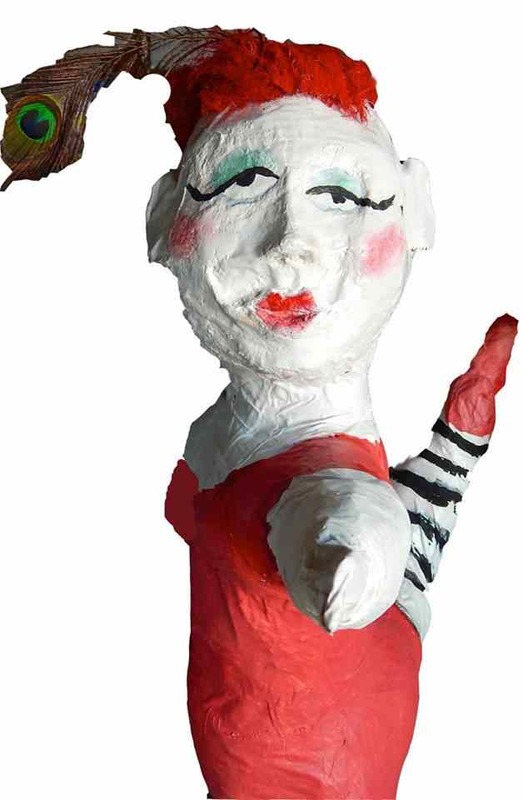 And here is Lynne’s paper mache girl. So cool. 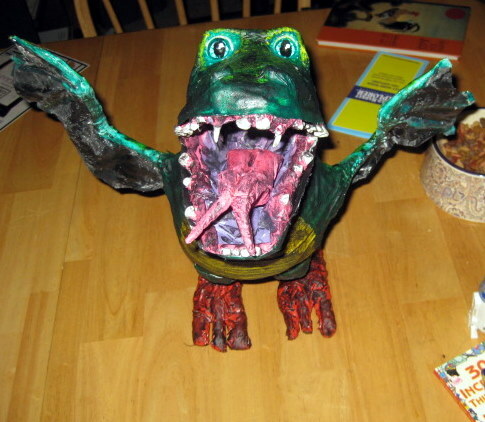 This is Diann’s first paper mache monster, “Snort”. Cute! 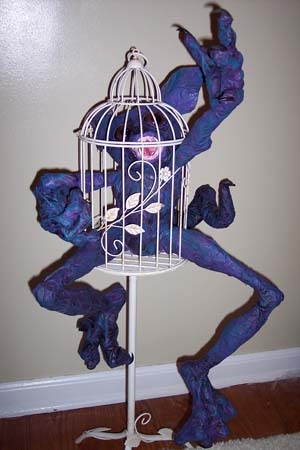 And here is Tracy’s monster in a cage, “Petunia.” I love using old bird cages for monsters. I love these Screamers. Travis is a professor in a university in Texas. He wrote me a very nice note (and written and sent in the mail!) 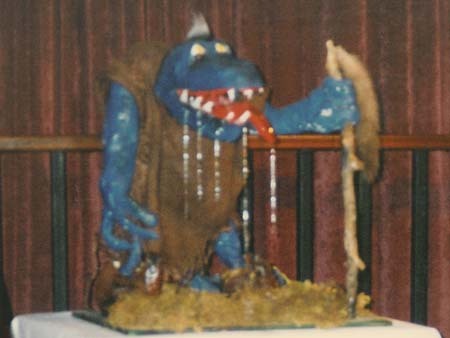 a long time ago telling me that my first book, The Simple Screamer, changed his life, that he would have been an accountant, or something as dreadful (his words) if he hadn’t seen my book. He made some Screamer and it changed his life. 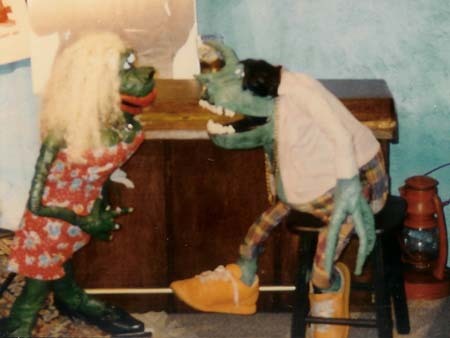 Now he is a professor of art history. I was (still am) so incredibly flattered. 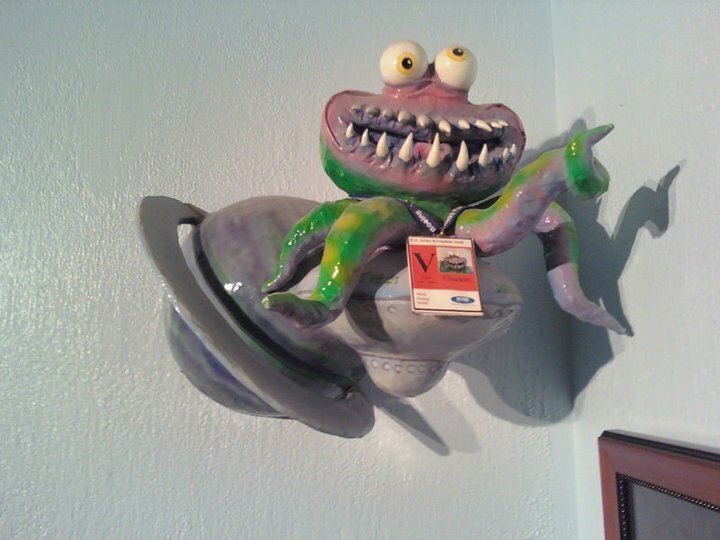 Here is Travis’ alien screamer. Look at the spaceship he is riding! So fun! 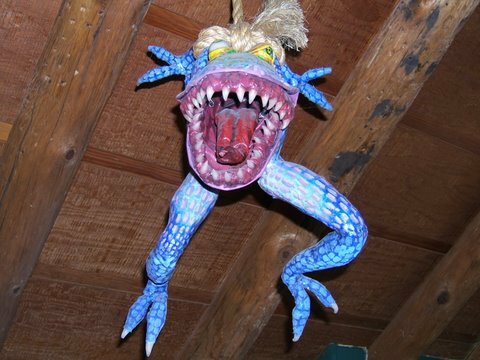 And here is his screamer on a rope. Wonderful! Thank you Travis! Now I’ve argued that people who send me photos often look like the art they create. 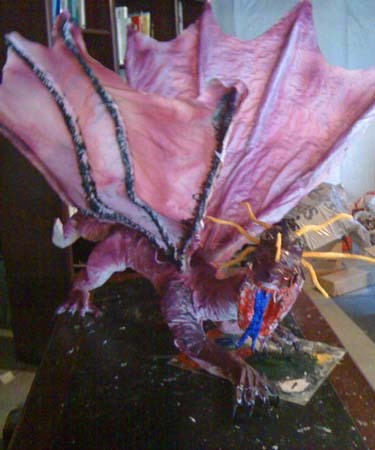 This is Niles with his paper mache dragon “Miguel”. Q.E.D. 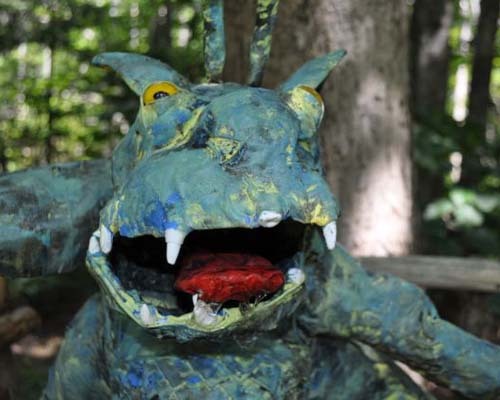 Here is Nicole’s paper mache dragon. Cute! 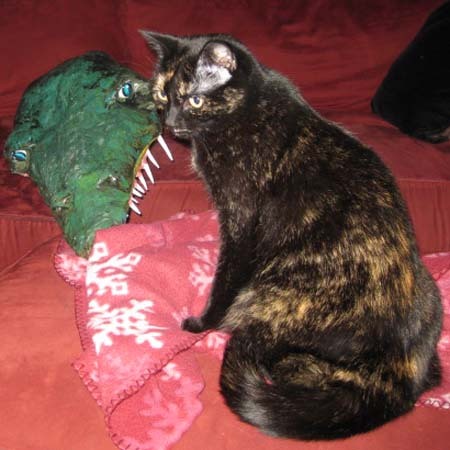 And here is her cat with a dragon head. 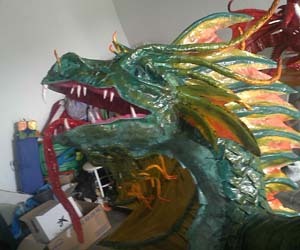 And here is Nicole wearing another paper mache dragon head. Terrific! 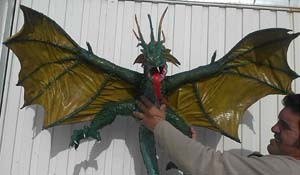 Al Sugarman has been making lots of dragons. He has certainly mastered my “cloth mache” techinques. Here are a few. 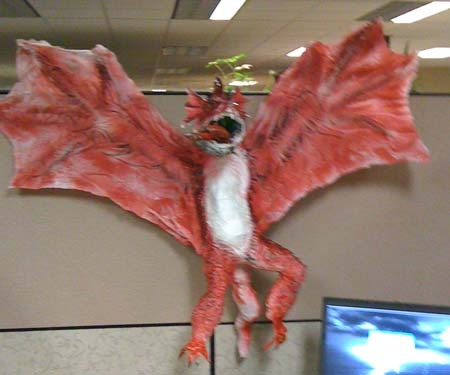 He also makes some fantastic Halloween displays. If you’d like to see more, you can at Sliver of Darkness. 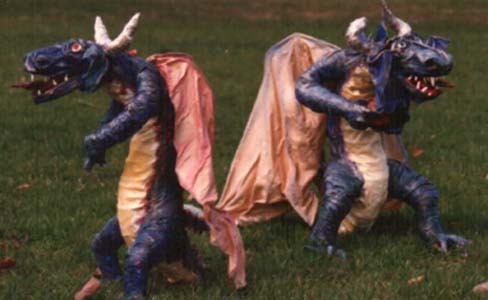 Here are a pair of Alison’s paper mache dragons. They are the subject of a book she is writing. Very nice! 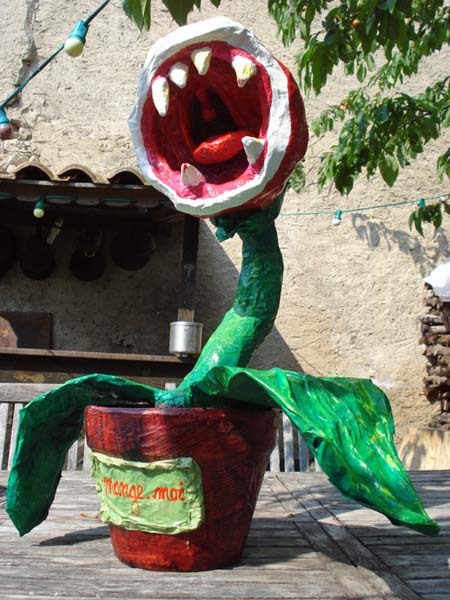 Here is my French friend Marie’s paper mache monster plant. Love it! 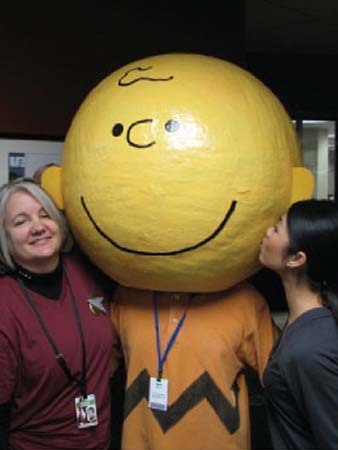 Phyl works at an elementary school. 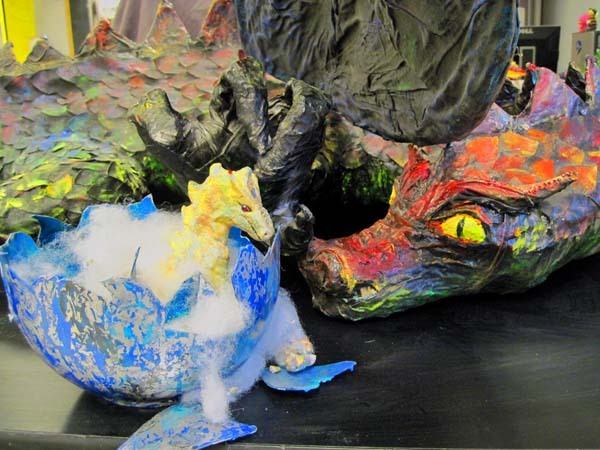 She made this paper mache dragon for her library. 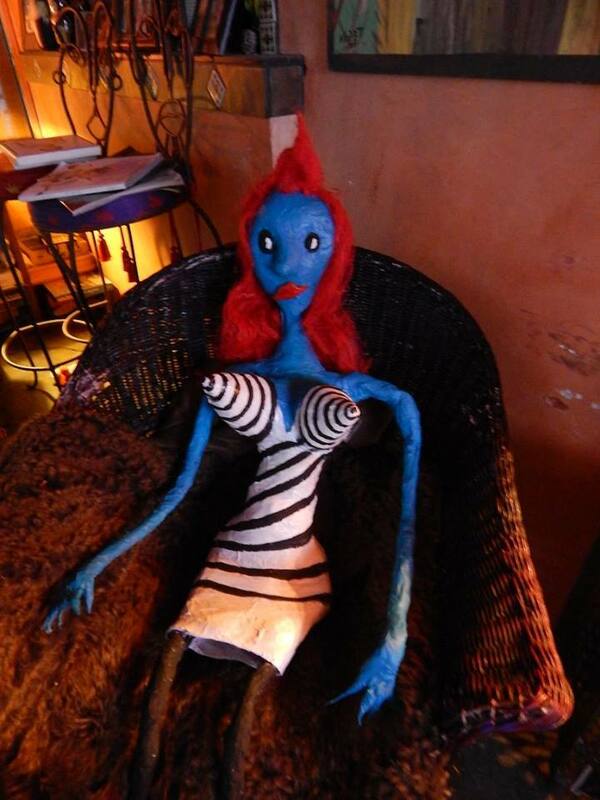 She is named “Lucy”. 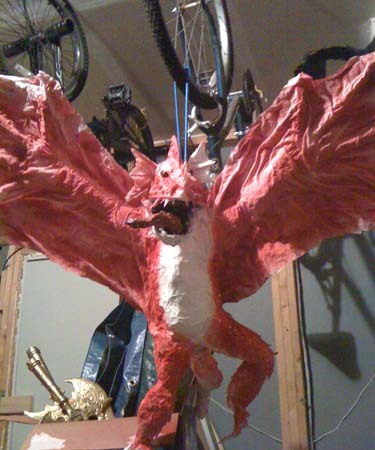 Here she is sans the wings. And a surprise was added! Check out the baby! What fun! 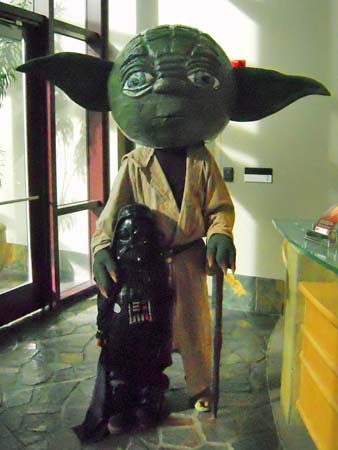 Mario makes paper mache heads for Halloween. Here are a few. So great! A few assorted Screamer Ants!